Refill sanitary seat cover cardboard 100% cellulose fiber. We propose as a practical case open cardboard. 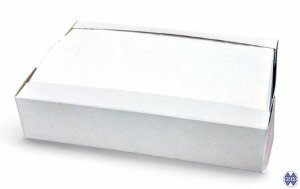 Ships with box 250x400x300h mm containing 20 packs of toilet seat covers 75 each.